1906 St. Joseph Church is founded. 1907 The cornerstone of a new church is laid at the Northeast corner of Main and Franklin Streets at what was the outskirts of town. 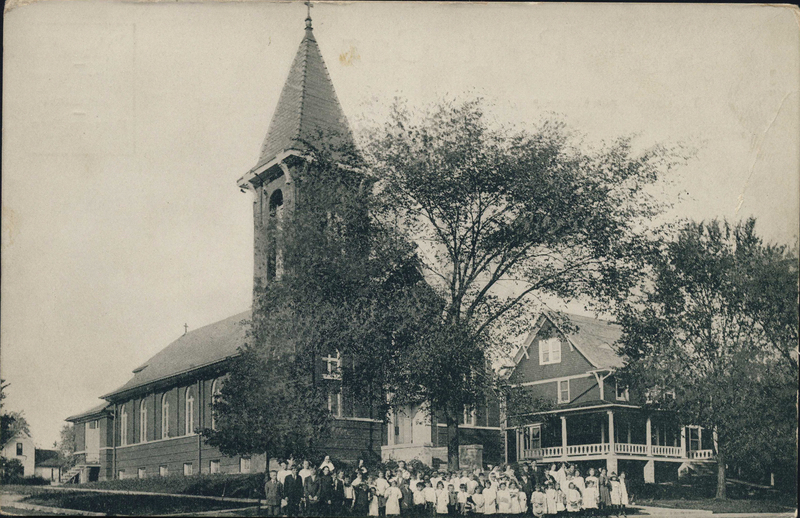 1908 First Mass is celebrated in St. Joseph’s new church. 1910 Fr. Goodwin [Pastor] arranged the opening of a parish grade school, taught by three devoted nuns from the Ursaline Sisters of Springfield, IL. Two classrooms were created by placing a partition in the room across the back of the church. 1911 St. Joseph School graduates its first class of four students. 1926 A modern eight-room school community hall is dedicated. 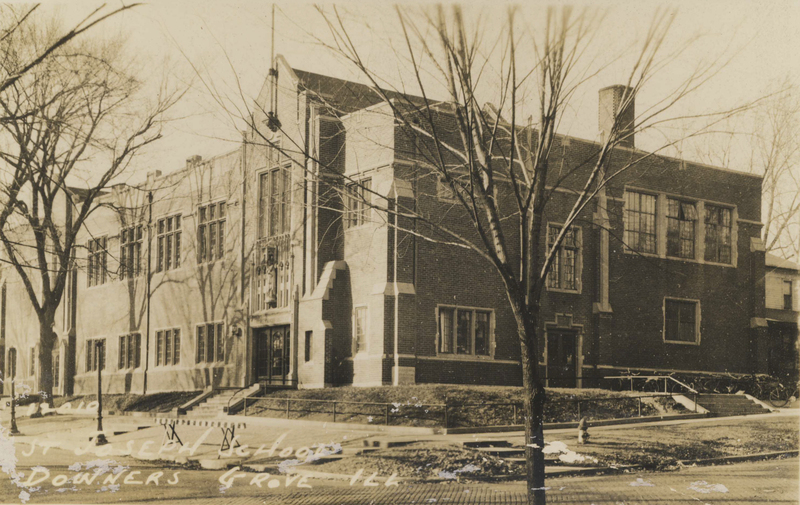 1931 The Sisters of Providence take responsibility for teaching at St. Joseph School. 1943 St. Joseph School graduates a class of 30 students. 1955 Addition is added to the school building, intended to be used as a gymnasium. However, due to crowded Masses, it is instead used as a new church. The original church is rededicated as Kiley Hall in honor of then pastor, Monsignor Lester Kiley, and remodeled for use as a gym. 1971-1977 Pastor Rev. Thomas Fleming initiates a continuing renovation program for the church and school, with much of the work performed by members of the parish. 1992 Pastor Rev. James Fitzgerald dedicates the new church on December 13. 1997 Fr. Paul Hottinger becomes pastor. In recent years he has overseen the installation of a new HVAC system and school computer network. 2007 Fr. Jerome T. Kish becomes pastor, coming to us from Saints Peter and Paul School. 2007 Mrs. Rita Stasi becomes our new Principal. 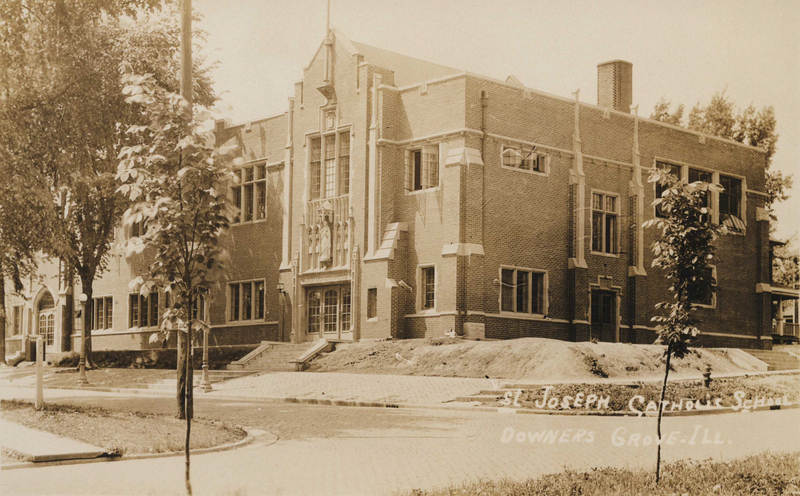 2010 St. Joseph School celebrates a century of service to the Downers Grove community with numerous activities throughout the year to commemorate the event. 2013 Fr. John Phan joins the parish as pastor, and encourages needed updates to school buildings and facilities. 2014 The school undergoes a number of remodeling projects, opening in August 2014 with a new computer lab and equipment, new LRC/Library, remodeled Kindergarten classrooms, and updated gym. 2015 New technology programs continue to flourish at St. Joseph’s with tablets for Kindergarten to 2nd Grade students, laptop instruction for Grades 3 to 5, and 1:1 Middle School Chromebooks, plus Google Classroom collaboration and WiFi. 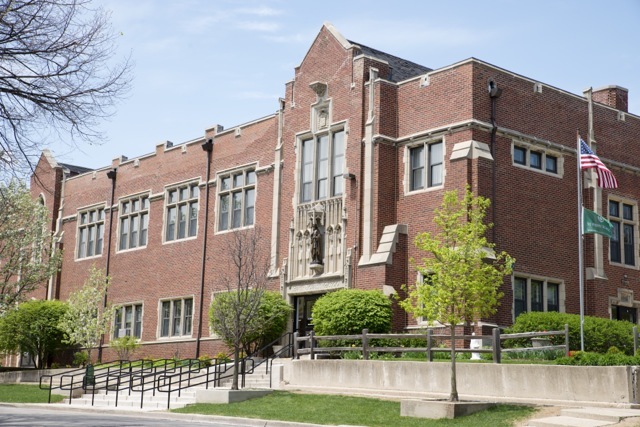 2017 St. Joseph School receives approval on plans for an addition and improvements to school to include the addition of 4 classrooms and 2 restrooms, 2 elevators and ramps to provide handicap accessibility throughout the school, and life safety upgrades. Ground breaking is anticipated for June 2018 with completion in August 2019.